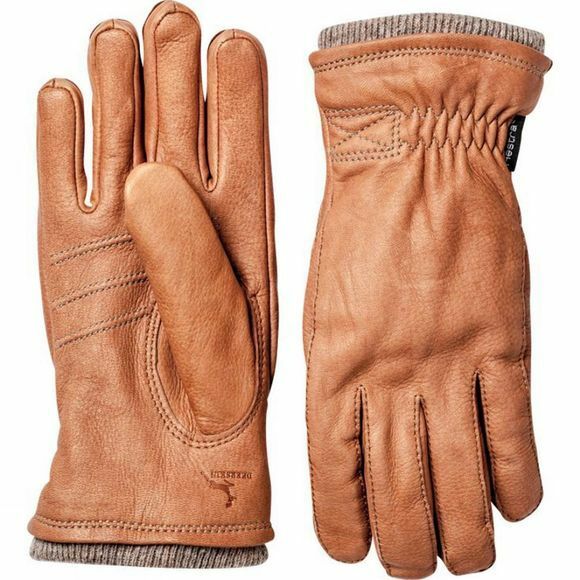 The Men's Deerskin Swisswool Rib Cuff Glove from Hestra is a quality sporting glove that is highly durable as well as warm. The high Merino wool content in the lining of the glove is soft next to the skin and naturally odour resistant while the nylon fibres add durability to the fabric to ensure long term performance. The Deerskin outer is pliable and durable for excellent dexterity and performance as well as comfort. An elasticated wrist helps to keep them in exactly the right place while the pre-curved fingers offer a more natural position for the hands.